Kölsch to play on the Eiffel Tower! - Track? !D. Home » Kolsch » News » Slider » Updates » Kölsch to play on the Eiffel Tower! Kölsch to play on the Eiffel Tower! The Danish artist will play at the Eiffel Tower on Monday, 16th October. 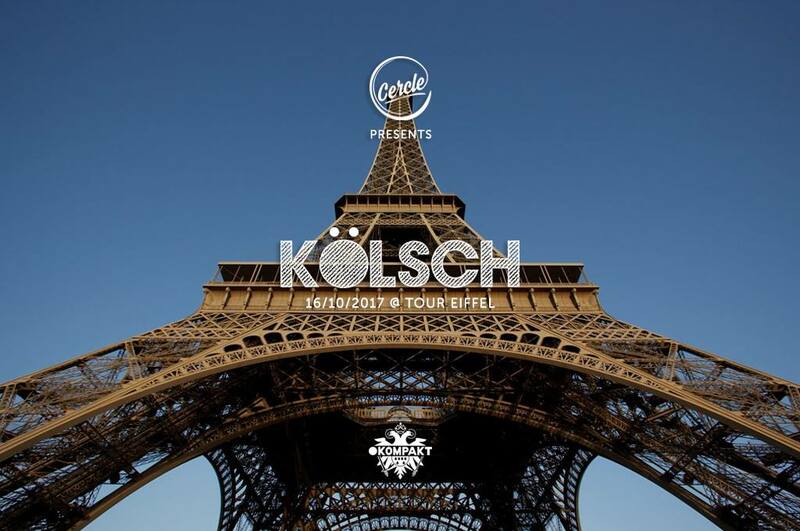 Kölsch will perform from 2th floor of the Tour Eiffel during sunset time at the Parisian capital, between 18 pm - 19:15 pm. The show will will be broadcast live on Cercle at 18 pm. From The 2th floor of the Tour Eiffel, more than 120 meters above sea level, we have the honor to invite Kölsch on the occasion of the release of his last album "1989" and all Just a year after our first session on the iron lady. This show is not open to the public and will be broadcast live on Cercle at 18 pm'. Watch Cerle Event with Pan Pot at the MUSÉE DE L'AIR ET DE L'ESPACE - Page officielle.Below.